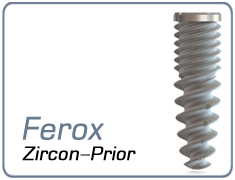 Conoid form of implant and semispherical thread profile base of each 15? 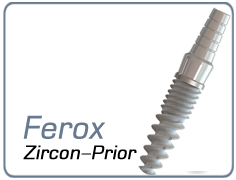 angle slope turn distribute functional load vectors physiologically along the entire implant zone fostering functional bone turnover. 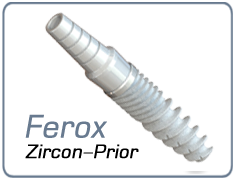 Spongious bone micro thread seal with four starts and cancellous bone macro thread seal with two starts provide effective initial implant insertion and foster osseointegration. 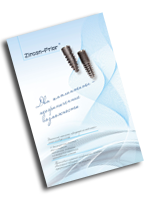 Single-pitch two-start macro thread and four-start micro thread provide adaptive bone and implant cavity formation on all bone layers and make implant installation process easier. 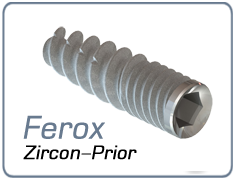 Implant neck micro thread provides effective thread penetration into cortical layer and extends contact area with dense osseous structure. Safe zone upon osseous tissue exposure. Endosseous tissue surface undergoes sandblasting and acid etching (SLA surface). As a result, formed microporosity of 9-12 micron provides good adhesion of osseous cells.